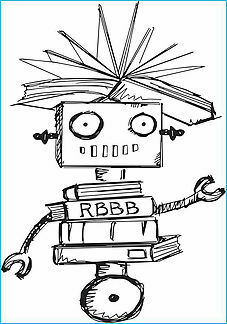 For this blog post, we would like to introduce you to Dr. Dave, the RBBB robot. To us, Dr. Dave is more than just a mascot. The name is inspired by a real-life hero, who represents the foundation of our organization and values: Be Excellent and Be Kind. Dr. David Allen, PhD is (Founder & CEO) Sophie Etchart’s late father, a man who expertly combined excellence with kindness. He was a corporate boardroom superpower who always attended the secretaries’ birthday celebrations; he was a first-class globetrotter who always preferred home and family; he was the PhD chemist who always kept it simple so you could understand. Dr. Dave passed away in April 2014, just a few months before Read Better Be Better was founded. We like to think that his legacy of true brilliance and utter humility lives on in every staff member, supporter and child that is inspired by us to Be Excellent and Be Kind. Stay tuned – we will be programming our mascot Dr. Dave’s voice and perspective into future blog posts so he can share our mission with you in his own (robotic) words. We’re doing amazing things at RBBB, and we look forward to sharing it with all of you.